Trade: We recommend buying 10 weekly (2/10) 106/118 bull call spread (9 DTE) for $5.25/share or better. Although premiums are spiked, this debit is less than the intrinsic value, giving us time decay and cushion for a pull back. 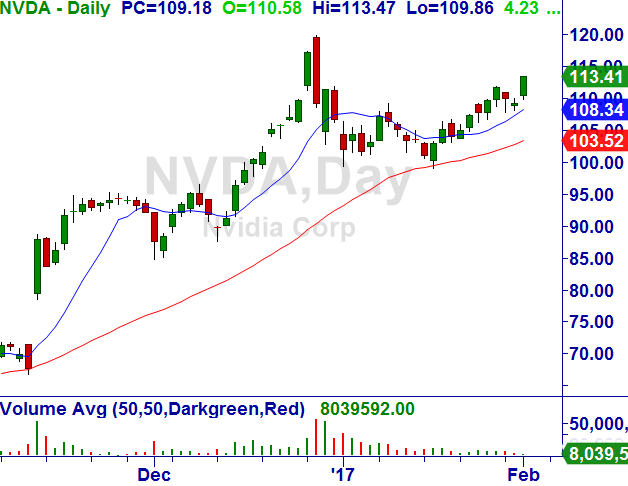 Strategy: Breakout on daily and anticipated rally into earnings. Note: Close before 2/9 earnings. 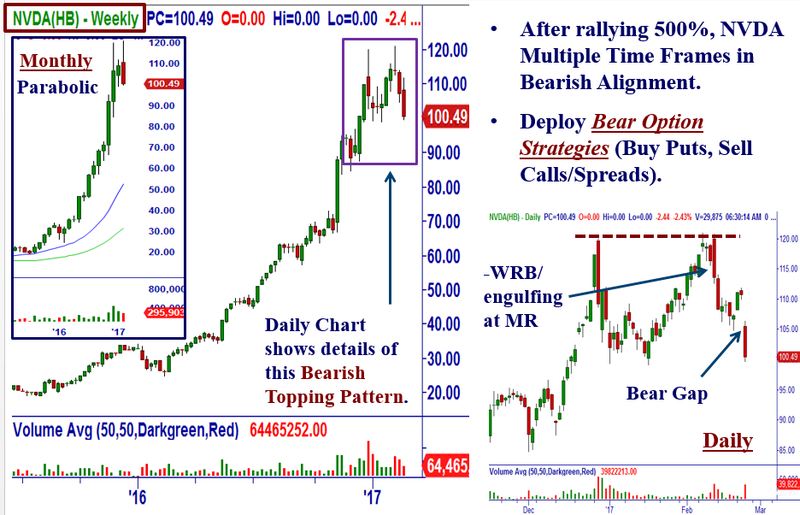 Trade: Under $99.68, we recommend selling 10 Apr 120/130 bear call spread (56 DTE) at mid-point (closed at $.55). A more aggressive trade would be selling 10 Apr 115/130 bear call spread for a bigger credit (closed at $1.17). Additionally, because of the bearish chart alignment, we will look to buy puts on a bounce for a Directional Bearish Trade. Strategy: Continuation of Bearish Gap Down with multiple time frames in alignment, Double Top weekly and Climactic Sell Setup/Topping Tail monthly chart. ROI: Premium received/($10.00 spread less premium). Max Loss: $10.00/share spread width less premium. Stop Loss: Over $120 for now.